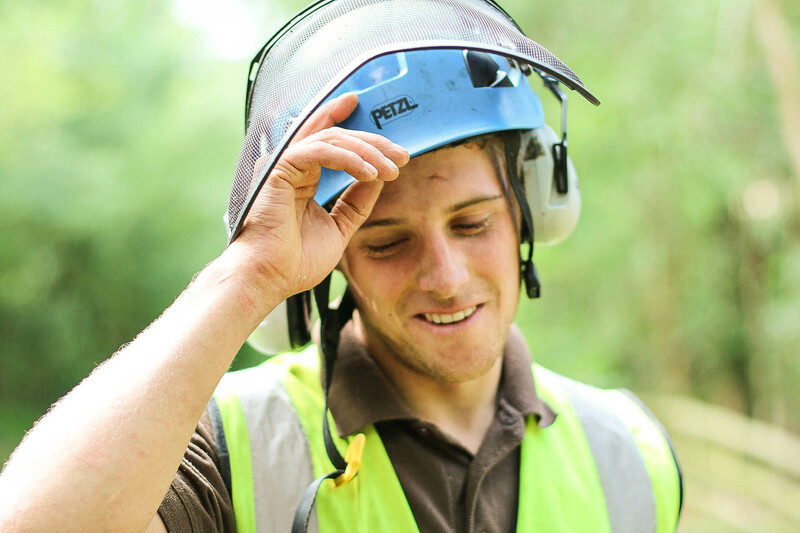 JAG Timber undertake all arboricultural operations. The use of modern equipment and safe working practices enable solutions for even the most complicated tasks to be found. Including sectional felling and dismantling, with safe lowering of all debris. 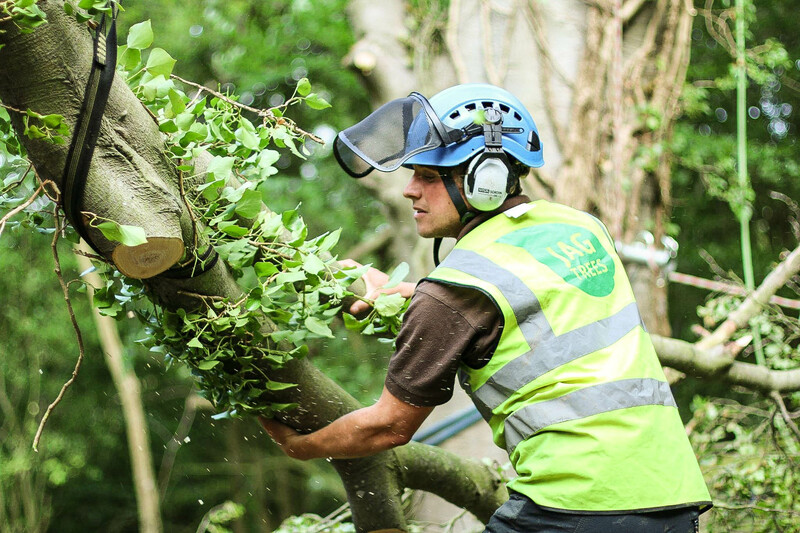 Carried out to ‘make safe’ unbalanced trees where their continued presence is of importance. A reduction in the current overall size of the crown. Aims to produce a well spaced and balanced branch structure within the existing crown by removing small non structural branches. This can help reduce the potential damaging effects of wind during storms. Involves the removal of dead dying or diseased branches. Is the removal of branches from the lowest part of the crown, often carried out to reduce interference of branch structures with human activities. 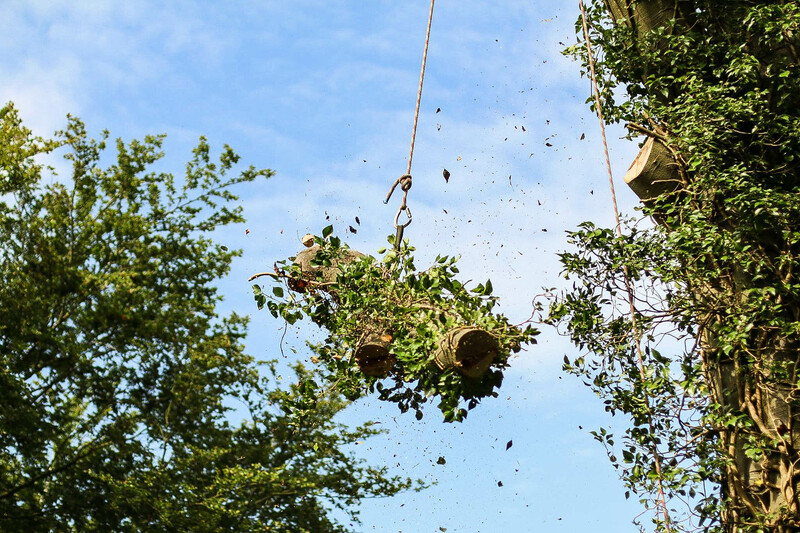 Carried out during the juvenile stage of a trees development in order to produce a tree which once mature will be free from structural weakness. Most often seen on willows, but applicable to many species, where all limbs are removed to the main stem. Cutting of the entire tree to near to ground level on a cyclical basis, depending on species this can be between 5-30 years. Mechanical removal of the tree stump to a depth of up to 30cm below ground level.